350 Grand Junction is growing a local grassroots movement to transition the western slope of Colorado to a fossil free future. Through education and community engagement we seek to grow a coalition of committed individuals to work towards a just and equitable transition to a renewable future. We promote local clean energy, our locally grown organic farms and the protection of their water, no fracking and a community that is resilient to the local impacts felt from the ever growing climate crisis. 350 Grand Junction is focused on the fracking ballot measure, The People’s Climate Platform and supporting Battlement Mesa in the struggle to battle fracking that is fast approaching. We are also actively seeking team leaders for the western slope! Please email our Volunteer Coordinator if you are interested in leading the team! 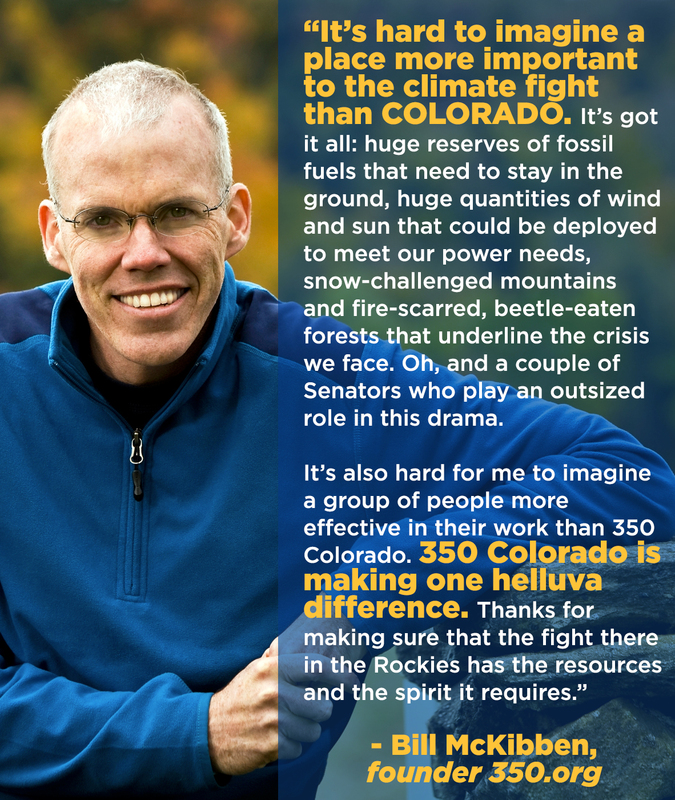 Join our team and help us solve the climate crisis and protect our beautiful state!